Topics 4 to 6 focus on server-side Web programming. 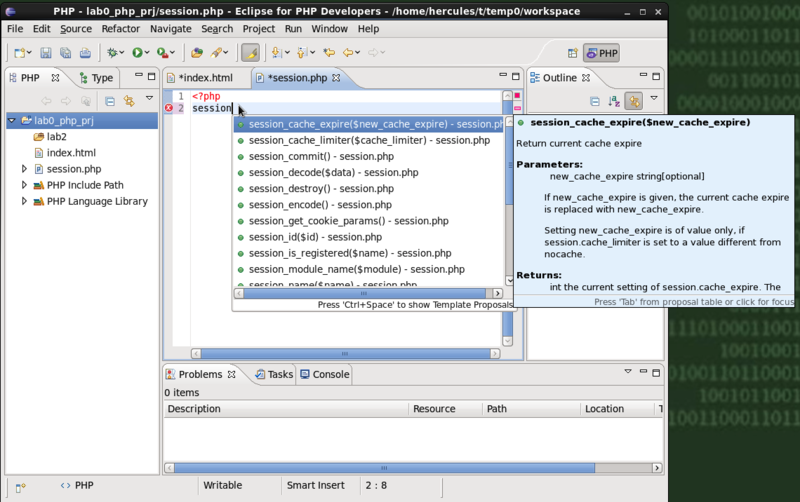 Specifically, PHP code and SQL statements are executed by servers (web servers and database servers). When you type in a URL to a website that has server-side code, your browser sends a request to the server. The server runs the server-side script to produce output/web page content that is then passed back to your machine in the response. Your browser then interprets the response and displays the web page. Notice that the server-side scripts are run on the server and the client-side scripts are run on your machine. Topic 7 (Ajax) is a combination of client-side and server-side web programming. The operating system in the CS215 lab is Scientific Linux. 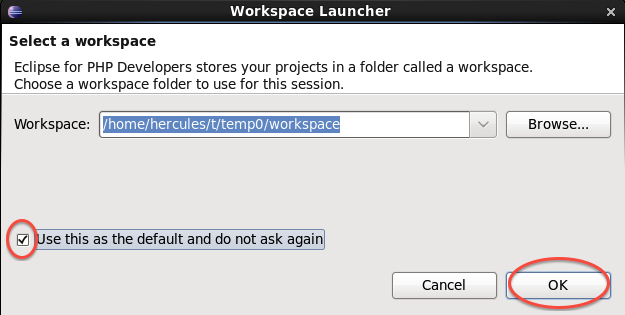 In the lab, you will use Linux commands and the Linux GUI to set up your website and store files on Hercules. After the lab, you can connect to Hercules from home to continue your exercises, assignments and projects. You will use your computer science (CS) username and password to log on to the Linux machines in the CL115 lab. When you are done working and ready to leave, the last thing you should ALWAYS do is log out. Otherwise, you run the risk that another student will access/modify your files. 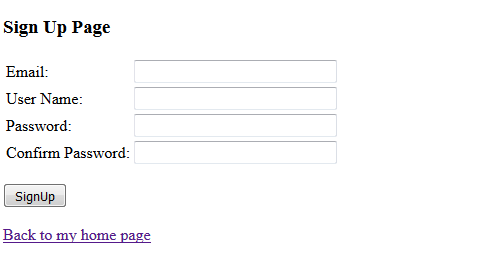 To logout, choose: System > Log Out your_username from the main menu. Do not turn the power off. Select the correct version for your OS, i.e., Windows, Linux or Mac OS X. 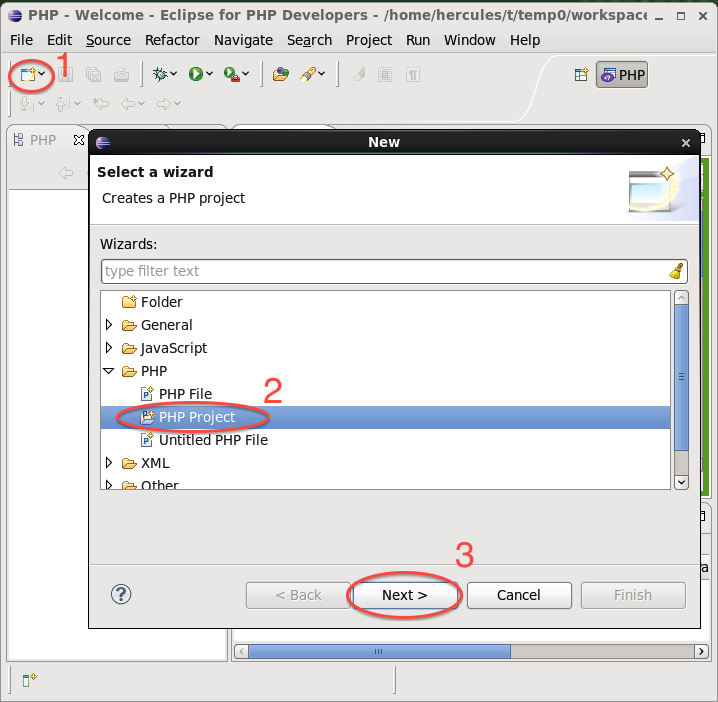 Under the Linux "Applications" Menu, select "Programming" > "Eclipse For PHP"
Enter a PHP project name, for example, "lab0_php_prj". 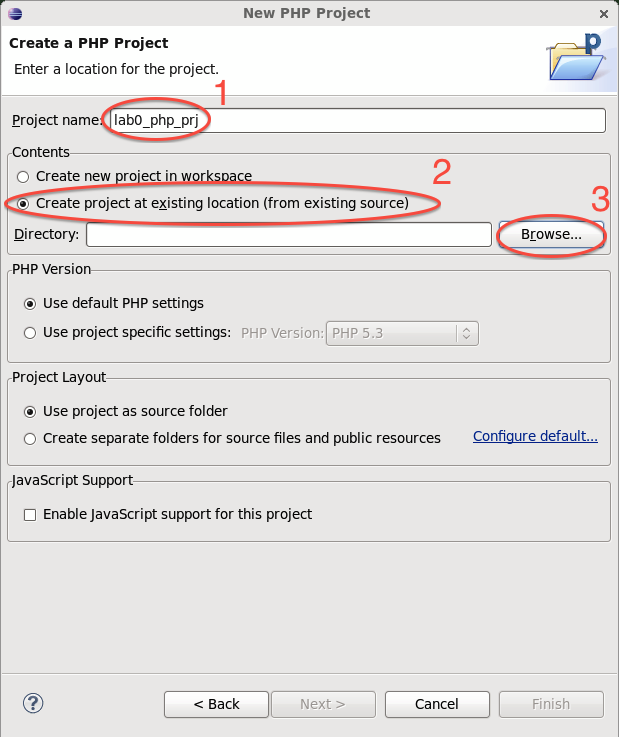 Select "Create project at existing location..." and click on "Browse"
Make sure that your username is selected in the "Places" panel. Click on the "Create Folder" button. Type "public_html" and press the enter key. 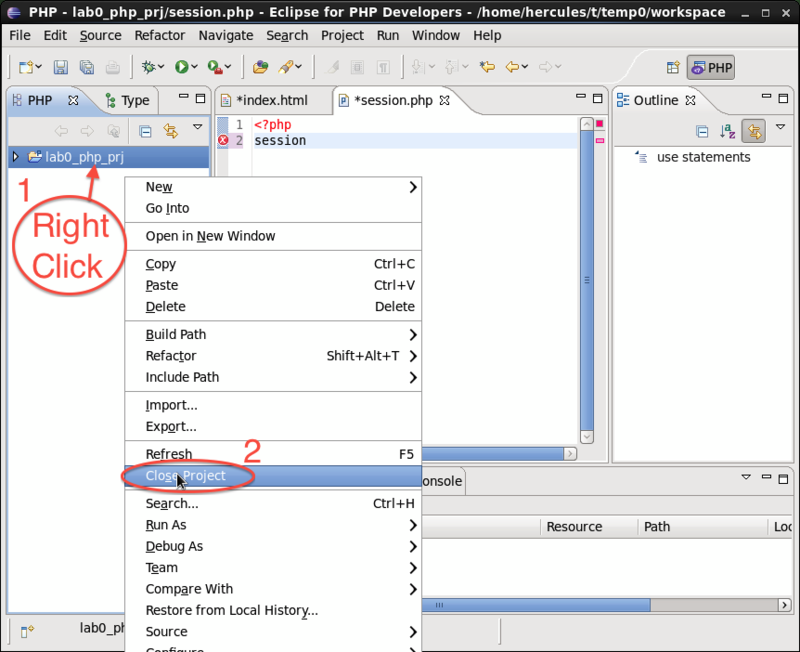 Then, click on "OK"
Double check that your directory is "public_html" and click on "Finish"
The following instructions are for creating php files in the later lab. 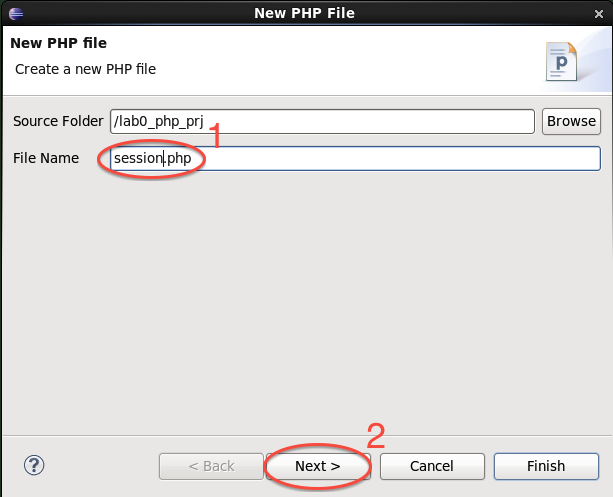 You do not need to do these steps now, these instructions are for PHP labs later. 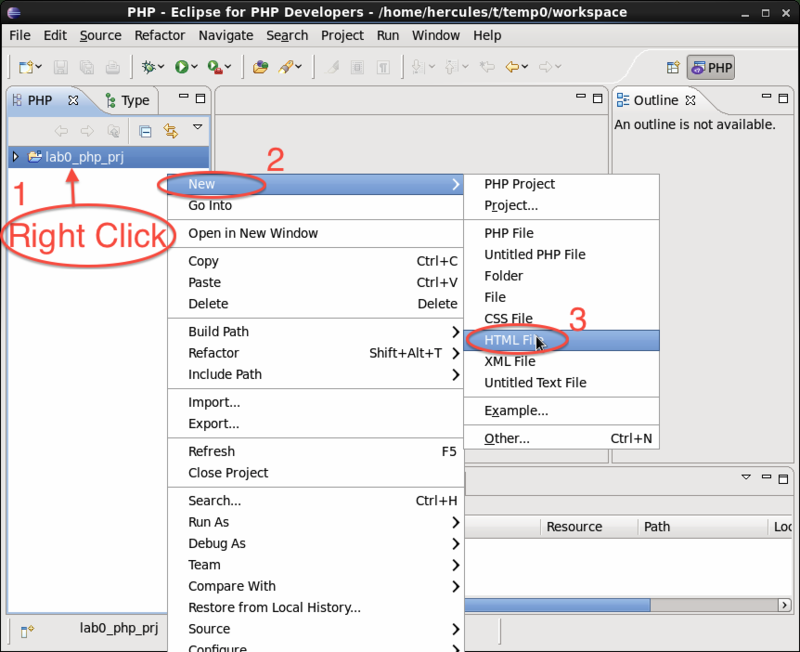 Select a PHP template, for example, "New simple PHP file"
If your Eclipse project was not setup properly, delete the workspace directory and the .eclipse file from the home folder on your Linux machine. You do not need to delete public_html directory or the .html files unless you want to start fresh from everything. 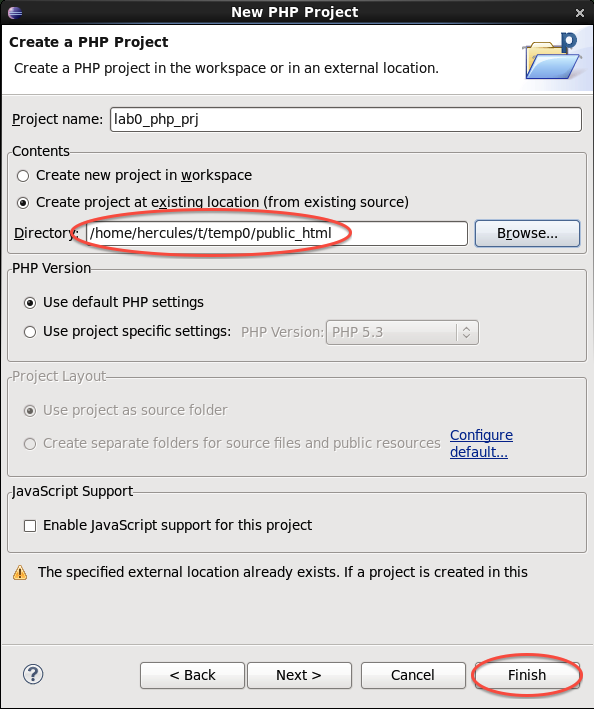 In the lab, your HTML, PHP, JS and CSS files will be stored on a web server, specifically, Hercules. The URL (address) of the Hercules server is www2.cs.uregina.ca. If someone requests your web page (http://www2.cs.uregina.ca/~your_username), Hercules searches your home directory for content inside a special directory called public_html. Your home directory is stored on Hercules and is the "starting" directory when you log on to Hercules or use the terminal in the Linux lab. To allow others to see your web pages, you need to: 1) store your source files, such as *.html, *.php, *.txt, *.jpg, in the public_html directory (located in your home directory), and 2) change the "permissions" of the files/directories. If you forget or want to change your hercules password, please go to this link. If it is successful, a welcome message is displayed on the screen. Note: If you open a "terminal" on the Linux machines, you will see all of your Hercules files and directories. This does not mean that you are on Hercules. Pay attention to the terminal's prompt: a prompt such as a049510 indicates that you are on a Linux machine, whereas, a prompt such as hercules indicates that you are on Hercules. the permissions on directories should be: 711, which means you can list contents and add files and execute (or change into) that directory; everyone else can only change into that directory. the permissions on individual files, e.g., .html, .css, .jpg, or .gif, should be 644, which means you can view and modify the file; everyone else can can only view it. For the CS215 class, all of the files will be stored on Hercules but you can modify and change them directly from the Linux machines (because of something called mounting). For most of the labs, you can work exclusively on the Linux machines. However, if you work on lab assignments or class projects from home, you will need to transfer your files to Hercules and ensure that everything works there. If you prefer doing your exercises from a Windows machine at home, you can use PuTTY to access Hercules. An HTML document can be described by a set of HTML tags. We will introduce several common HTML tags that can be used to produce a basic page with images, lists, tables and links. Each HTML document has a root node, i.e., <html>...</html>. The <html> tag has two children: a head node <head>...</head> and a body node <body>...</body>. The following links provide details. 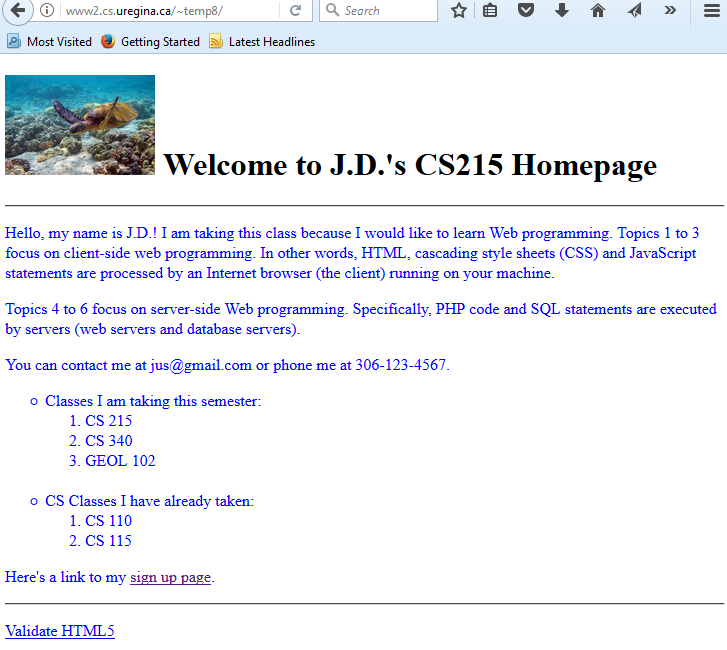 Each HTML tag consists of an opening and a closing, that is, <name>...</name>. Typically, you will write content between the opening and the closing tags. The content can be text or other HTML tags. 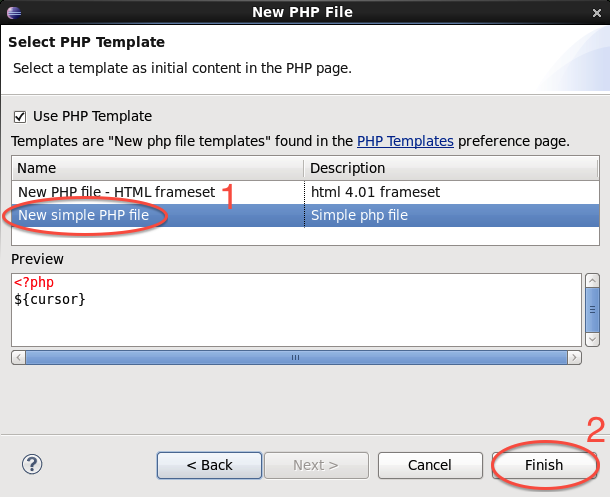 Attributes can be added to an HTML tag, for example, <name attribute_name = "attribute_value">...content...</name>. Consider what you need when you write an article: a main title with subheadings and paragraphs. To create titles/headings in HTML, the format is: <h>...</h>, where a number appears after the h. For instance, h1 is the most important heading (like your title) and h6 is the least important (a sub-sub-sub-sub-subheading). Paragraphs are denoted with the opening and closing pair: <p>...</p>. Highlights such as bold (<strong>...</strong>), italics (<i>...</i>), and underlining (<u>...</u>) may be used during writing. The following links provide details. List tags are an essential part of HTML. The three kinds of lists are: unordered lists (<ul>...</ul>), ordered lists (<ol>...</ol>) and description lists (<dl>...</dl>). In the ordered and unordered lists, a <li>...</li> tag is used around each list item. 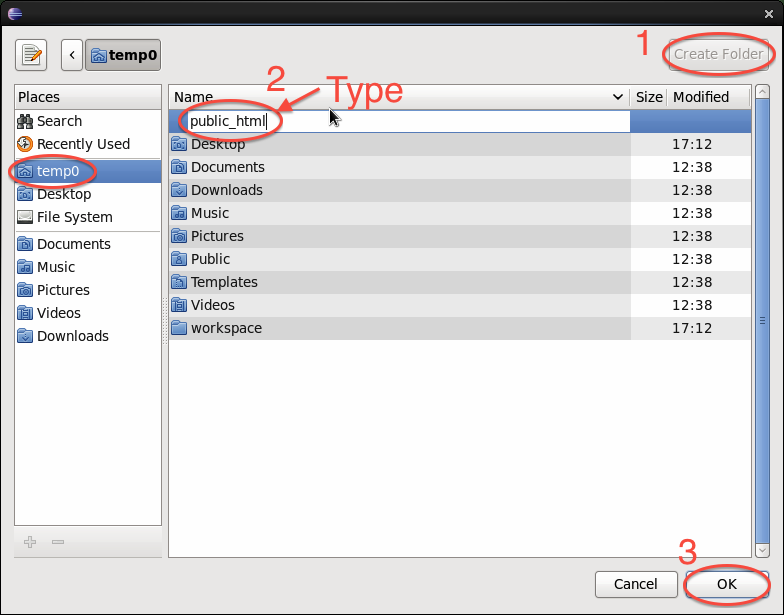 In the description list, a pair of term <dt>...</dt> tags and description <dd>...</dd> tags are used to define each list item. The following link provides details. 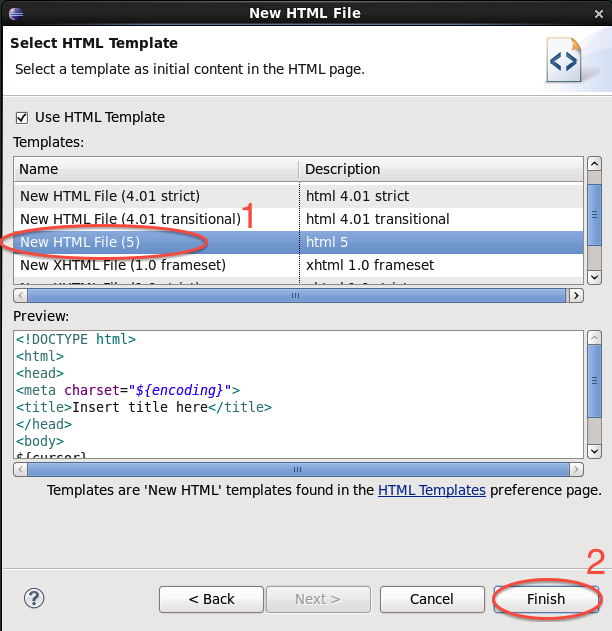 To include tables in an HTML document, you will use the <table>...</table> tags. 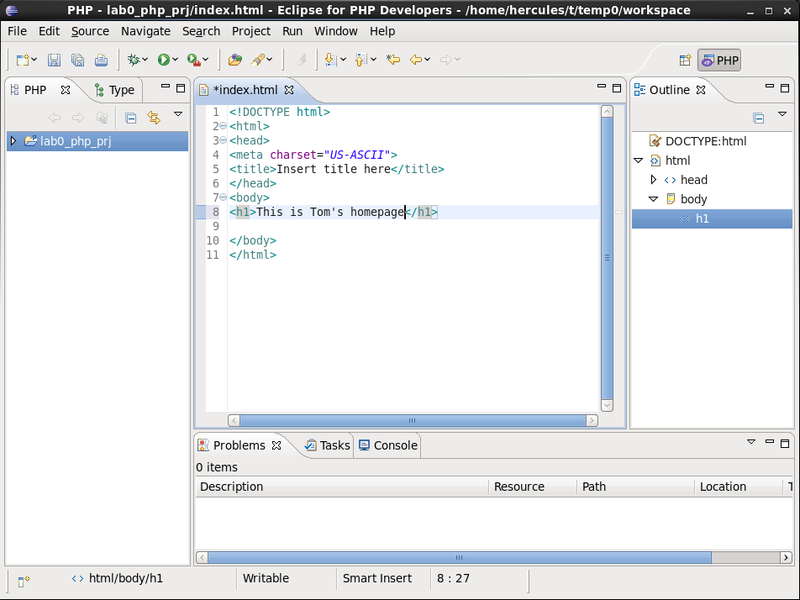 An HTML table contains captions (<caption>...</caption>) and rows (<tr>...</tr>). Each row contains columns, otherwise known as table data (<td>...</td>). The data for the first row is usually a set of headings denoted using (<th>...</th>) in place of the <td> pair. The following link provides details. The most commonly used formats for image files are GIF (graphic interchange format), JPEG (joint photographic experts group) and PNG (portable network graphics). To insert images into a web page, you use the tag: (<img src="..." alt="..." />), where a source attribute, i.e., src, and an attribute for alternative text, i.e., alt, should be specified. A width attribute and a height attribute can be used optionally. However, it should be pointed out that arbitrary use of these two attributes may distort (squish or stretch) the image. The following links provide details on using images tags. Links can be considered the most important element of an HTML document. Without HTML links, there would be no "surfing the web" as you know it. The use of links, i.e., <a href="">...</a> enable us jump from one page to another with a simple click. There are two ways of specifying a web address: either as a relative address or an absolute address. In addition, you may use an <id> attribute to create bookmarks (places to jump) within an HTML document. All HTML elements can be categorized into two types: inline elements and block elements. Inline elements do not explicitly include a line break and the content appears on the current line (or, as the name implies, "in-that-line"). Examples of inline elements are: <td>, <a>, and <img>. By contrast, block elements normally start and end with an implicit new line. 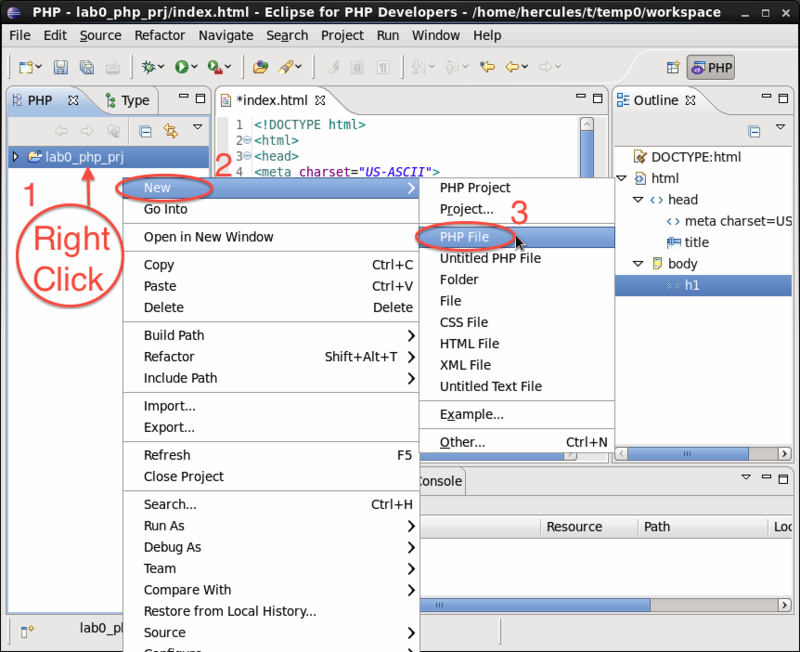 For example, <table>, <div>, <p> and <h1> tags are block elements. XHTML is HTML redesigned as XML. It provides more strict syntax rules than HTML. HTML5 is a newly designed specification with more advanced features (such as tags for adding video, audio, and graphics and additional functionality). Currently, most modern web browsers support this specification. The following links provide the details of the two specifications. all tags must be closed - for single tags like images, line breaks, and horizontal rules, this means including a / before the final bracket. eg. <hr> is valid HTML 5, but XHTML requires <hr />. the rules for element nesting must be followed. Most important, a block element cannot be nested in an inline element. Note: This provides an example of what might be done in industry. For the lab, you will be creating separate directories for each lab to nicely organize your work incrementally. For each assignment, you should also create a unique directory. 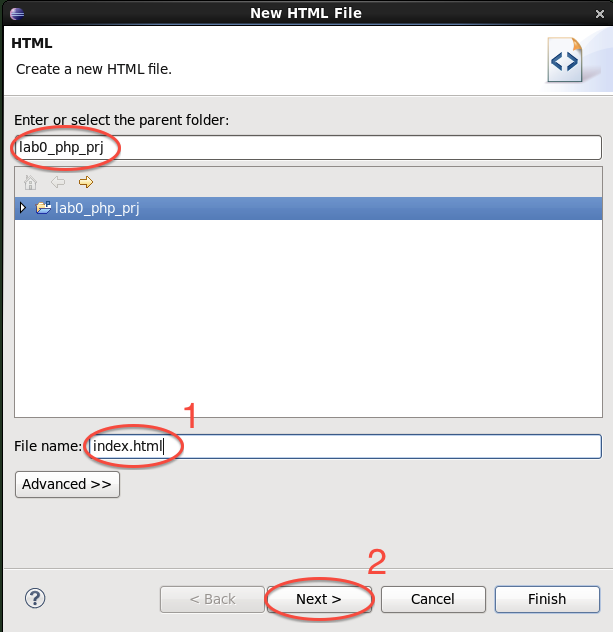 Create two files "index.html" and "signup.html" in your public_html directory. The title of your web site (as a main heading). Classes you have taken and are now taking. Create a link in the "index.html" page to the "signup.html" page. links to directly validate your pages. Upload the zipped html files to URcourses before 11:55PM today. For detail, please see How to submit Lab assignments. Important Note: Your HTML5 documents may not pass XHTML1.1 validation. Some HTML5 tags do not exist in XHTML and will, therefore, not pass validation. However, you must make sure your web pages do not contain any syntax errors according to XHTML. That is, some errors are allowed. For example, when using the HTML5 <article> tag, you will have an error message: "element 'article' undefined"; you may also have an error such as "there is no attribute id" when you use something like <section id="mysecid">. Syntax errors according to XHTML (i.e., a paragraph tag without a closing, an image tag without a back slash, or an embedded block element inside a non-block element) are not allowed.